At some stage in all of our lives we will be faced with the disastrous sound of running water, whether it’s coming from the ceiling, the toilet or a burst pipe somewhere we must be fully prepared for the situation in order to keep all damages to a complete minimum. Essentially being clued up on what to do in a plumbing emergency can be very beneficial for you and anyone in the property with you. Common sense tells us that the longer the water is flowing into the property then the more damage will be caused to electrics, floors, walls and objects near the running water. Knowing how to eliminate the water is the first step in any plumbing emergency, whether it be a burst pipe, leaking tap, leaking washing machine or a leaking water tank, the first and most important thing to know is where to locate your stop-valves. Each and every property will have a main stop valve. It should then also have a stop valve for each room, if not for each room at least for each floor. So if the water is coming through the bedroom ceiling, you would need to try and locate the closest stop valve to the bedroom. This could either be in an airing cupboard or near the radiators. When moving into the property you should be made aware of where the stop valves are located. The stop valve will be attached to the pipes, so your best bet is to find the closest visible pipe and trace it until you find the valve. You will either be looking for a gate valve or a ball valve. Once the valve has been located you would turn it clockwise to lock it and stop the running water, otherwise if it is a handle turn it to so it’s at a 90 degree angle from the pipe. If this doesn’t stop the water, which sometimes they do not work or they have rusted so much over the years they are impossible to turn, then the next step would be locating the Main shut-off Valve. Your main shut off valve is used to turn off all water in the property, this does not drain the system but will only turn it off. Once it has been turned off the water will eventually leave the system and stop leaking. The next step once the leak is not running anymore would be to get the problem fixed. Note if you cannot locate the stop valve or main shut-off valve to stop the water then you need to contact an emergency plumber straight away otherwise the damage from the running water will increase. 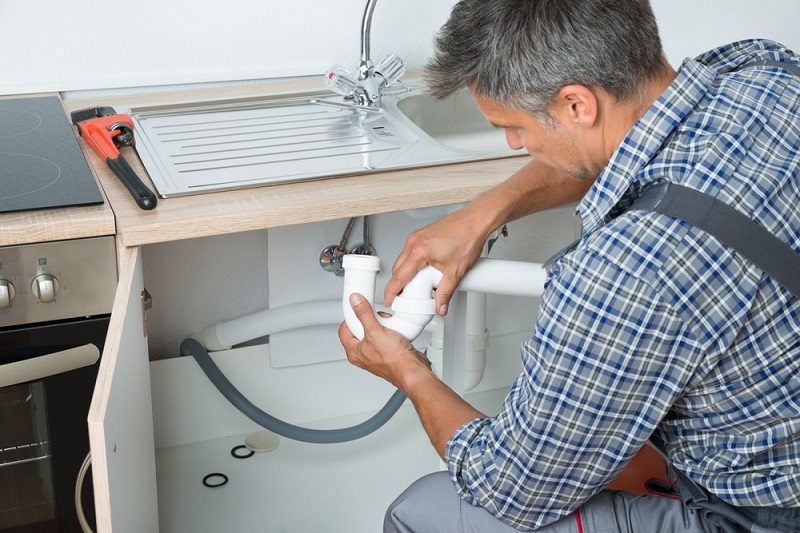 An emergency plumber will act with quick response at the time of your emergency. All emergency plumbers should provide rapid response and they should all be fully qualified and equipped to tackle any emergency situation. A plumbing emergency can be very stressful and can make you panic a lot, remember to stay calm and contact somebody straight away if you are unsure what to do, if you cannot locate how to turn the water off then get the buckets to the ready and wait for that emergency plumber to arrive. No matter what your emergency then the emergency plumber you ring should have all the necessary tools and parts to solve the problem and if it is a part that requires ordering then the plumber should make the property safe for you until he can come back out with the correct part. Dan Mawson is the owner and founder of emergency plumber wigan who provide rapid response emergency plumbing call outs. He also likes blogging and web development. Next articleMeditation in Daily Life: Explore Your Full Potential!